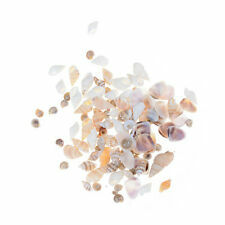 About 40Pcs Miniature Dollhouse Sea Shell Bonsai Lanscape DIY Decor 1:12 4 s! Exquisite collection for dolls, an excellent addition to any traditional doll house. Color: Golden. Taking care of children is to eat or hurt him! Warning: Do not use children's toys! 1 Garland Decoration (without strap). Material: Plastic Iron Bell Ribbon. High quality and brad new. 1,The real color of the item may be slightly different from the pictures shown on website caused by many factors such as brightness of your monitor and light brightness. Applicable for: 1/12 dollhouse. Include: 1 Pot. Material: Glass. Exquisite collection for 1/12 dolls or miniature dollhouse. A dollhouse picture. - For decorative use only, not a toy. - Material: wood. 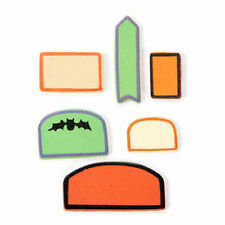 Great for 1/12 dollhouse collection, or even real house decoration. 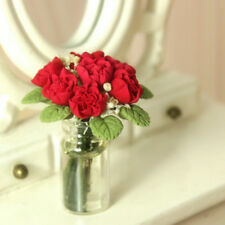 1 x Miniature rose flower bunch (10 rose flowers). - Material: clay iron wire. - Main color: green, pink. Easel Size(L x W x H): Approx. 1 Pieces Dollhouse Miniature Painting Rack. - Suitable for 1:12 miniature dollhouse; Great decoration for your doll house,creating a colorful life scenes. - Material: Quality Solid Wood. Suitable for hanging indoor in your dollhouse. 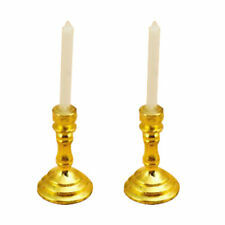 - Great accessory for your dollhouse. - Material: Resin, paper. - Size(L x H x T): Approx. Vintage Limoges France Fragonard Dollhouse Miniature Porcelain Ewer Pitcher 4"
The outer edge of the circle has rune alphabet markings. I've added two more photographs so you can see it against other backgrounds. Applicable for: 1:12 dollhouse. Keep it dry and cool, avoid sunning. Material: Paper, resin. 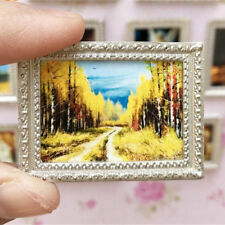 Materials: Plastic(frame), paper(painting) Dimension: 38 x 47 mm (1.49"x1.85") Applicable to 1:12 1:10 dollhouse Package Included: 1pc Miniature Painting Lady Warning: Not edible, keep it away from infants. Note:Please note this item is not full size, it/they are for a dolls house and miniature collectors. Slap-up mini phonograph with small handle and record design. 1 Phonograph Record Player. Great accessory for 1/12 dollhouse. Note: This product is an adult collectible miniature and not a toy for children. Product 1/12 Wash Basin Pitcher & Stand Set Bathroom Dollhouse Miniature. Dollhouse Miniatures. 1/6 Scale Dollhouse. Bath Appliance. Garden & Outdoor. Display Case Box. Keep it dry and cool, avoid sunning. Miniature Dollhouse ~ Mini Tree Decorations. It has great features and detail for such a small item. Easel stand （L x H）: Approx. Applicable for: 1:12 or 1:6 dollhouse. Material: Wood. Keep it dry and cool, avoid sunning. Picture : (L x W ) :Approx. Mini teapot set model toy, looks lovely and chic. Suitable for 1:12 dollhouse, great choice for your dollhouse decoration. Teapot Height: 2.5cm/0.98" (Approx.). 1 x Teapot. Type: Mini Dollhouse Decor. Applicable for: 1/12 Miniature Dollhouse. WOODEN JEWEL CASE. Your kind understanding will be very appreciated! Care Instruction: Keep it dry and cool, avoid sunning. This miniature umbrella is fixed in position for display in a dollhouse umbrella stand, door handle, or for use in dioramas and other miniature crafts. The hook handle is made of wood and the umbrella features a floral design printed on fabric. Applicable for: 1:12 or 1:6 dollhouse. Material: Clay,Plastic,Iron Wire. Size（L x H）: Approx. Keep it dry and cool, avoid sunning. 1/12 Dollhouse Miniatures Fairy Garden Vegetables Plants Set. 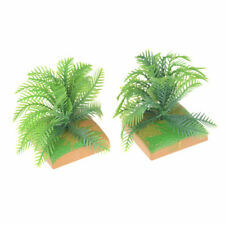 1 Set Garden Vegetable Plants for 1/12 Dollhouse. 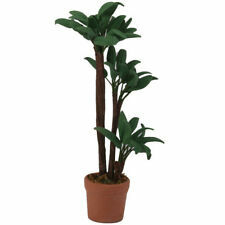 - Great for Your Dolls House Garden Decoration or just for kids pretend paly. - Material: Plastic. CLAY IKEBANA PLANT W/ EARTHEN BASIN. NICE COLLECTION FOR DOLLHOUSE. Applicable for: 1/12 Miniature Dollhouse. Material: clay & pottery. BLOOMING ROSE. 2~4 10% off at least 1. Fits 1/6 scale dolls such as Barbie/ Blythe/ Pullip/ Azone/ Monster High/ FR/ Poppy. ● International orders. Miniature Dollhouse ~ Sisal Tree Decorations. Doing that is against U.S. and international laws. Photographs are taken close-up to show detail. This is from Bright Delights. 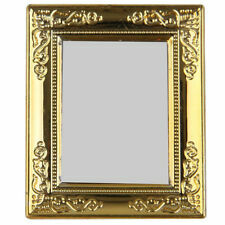 Solidly Built, perfect for over the mantle, ridge in the back to make adding your own painting easy. Price is for 4 fish mixed yellow and white. Not suitable for children. 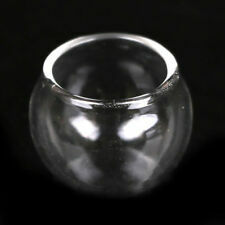 We want you to be satisfied with all of your glass treasures! ●For all order ● International orders.